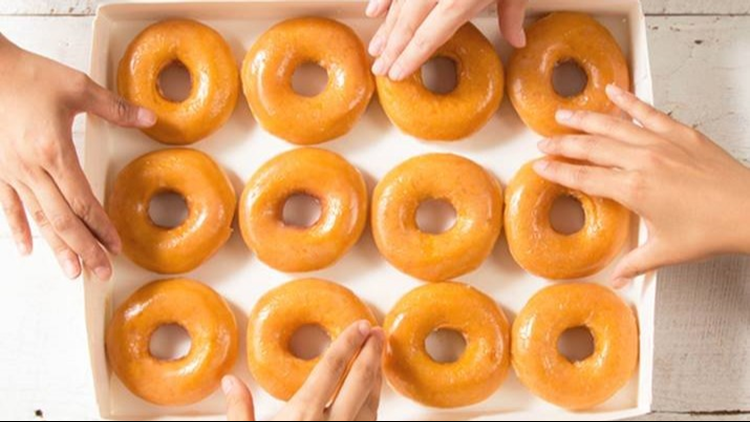 Krispy Kreme Doughnuts is celebrating 81 years by giving fans two awesome ways to celebrate. WINSTON-SALEM, N.C. -- Krispy Kreme Doughnuts is celebrating 81 years by giving fans two awesome ways to celebrate. For one day only on Friday, July 27, doughnut lovers can purchase one dozen of the classic Original Glazed® Doughnuts for only $1 with the purchase of any dozen doughnuts at participating shops across the United States and Canada. Additionally, for the first time ever, Krispy Kreme is adding an extra sprinkle of fun to its birthday celebration with a special release of the new Glazed Confetti Doughnut, available for one week only Friday, July 27 through Thursday, Aug. 2 at participating shops, while supplies last.